Canberra Diamond Blade is a trusted name in the concreting, stonemasonry and concreting industry – because we have the equipment you want, when you want it, for a great price. In our online store, you’ll find a huge array of core drill bits for concrete drilling and masonry core drilling, allowing you to find and order the right one for your needs within minutes. This is perfect for professionals who want to shop for their equipment anytime, anywhere and have it delivered to their door or even the construction site throughout Australia. Start shopping our range today to see why so many professionals come to us for their diamond core bits. What is a Diamond Core Drill Bit? You might have heard of them referred to as a masonry core drill bit, masonry hole saw bit or concrete hole saw bit. What ever you call them, they are all a Diamond Core Bit and have amazing power to cut through the hardest of building material. Do you need new pipe installed for you bathroom renovation? If yes, and you have a concrete slab or solid walls, then your plumber or builder is going to need a concrete core drill bit or masonry core drill bit to drill the hole. Concrete core drilling or masonry core drilling is where circular holes are drilled into concrete or wall. The result of an experienced tradesman is a fine clean hole with little mess. A Diamond Core Drill Bit or attaches to a Core Drill Machine and is used to core into material such as concrete, reinforced concrete, hard stone and brick. Depending on the scale of work, you can get smaller hand held core drill machines, or more powerful larger machines on stands for larger commercial and industrial jobs. Unlike a typical drill bit and other cutting tools where the whole area being drilled out or cut turns into dust a debris (pulverize the material) – a concrete core drill bit will remove a cyclinder of material when drilling its hole. This is similar to a hole saw, just on a larger scale. This because the centre of a Diamond Core Drill is hollow. Are Diamond Core Drill Bits made from real diamonds? A Diamond Core Drill Bit is made of metal and has synthetic diamond drill tips bonded or welded onto the the tip. Diamond core bits grind rather than cut. The tips are specially formulated to suit either hard or soft materials. If you use the wrong type, then you can hurt your core drill bit. Which Diamond Core Drill Bit do I need? Like other diamond tools, you need to consider what you are cutting before you choose your diamond core drill bit. The core drill bits we stock are suited to hard materials such as concrete, reinforced concrete, stone and brick. If you are after a core drill bit for soft stones or other material, please contact us on 02 6242 8996 and we can order it in for you. Why shop our range of diamond core drill bits? Having the right concrete core drill bit for a particular project is paramount to creating a high-quality finish. But, of course, the last thing you want to do is spend hours running around trying to find the best diamond core bit at a price point that suits your budget. Knowing this, CDBS Construction Centre offers a variety of diamond core drills for sale for prices and quality that you simply won’t find elsewhere. With options available from a number of different brands, you can get your hands on the perfect diamond core bit for your particular needs. In minutes, you can order the tools you need to be delivered straight to your door anywhere in Australia. And with our fast shipping, we make sure you get them as soon as possible. 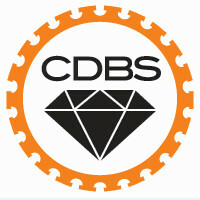 Here at CDBS, we are committed to offering exceptional products for competitive prices. That’s why you will find a huge variety of professional-grade tools and equipment from leading brands. Whether you are an apprentice looking for the right tools, require an engine or mechanical parts for your existing equipment, are in need of diamond core drill bits or are simply in the market for general building supplies, we have you covered. When you shop with us, you can do so with confidence knowing we are a trusted name in the trades industry. Browse our catalogue today to find what you need. Whether you’re looking for core drill bits for concrete work or general supplies and equipment, we have you covered with our comprehensive catalogue. Start looking through our diamond core drills for sale and order what you need with just a few clicks or give us a call on 02 6242 8996.